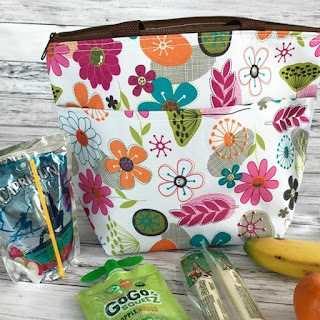 Check out these Floral Pattern Insulated Snack Bags ONLY $4.99 (Retail $21.99). These insulated bags are perfect for the park, games, play dates, or anywhere else your summer fun takes you! Just throw in your favorite snacks and an ice pack, and you're good to go! Approx. 12.5" x 9" x 5"
$2.99 for the first item and $1.99 for each additional item. US only. Seller usually ships within 2 business days. Ships no later than Thu, Mar 1.